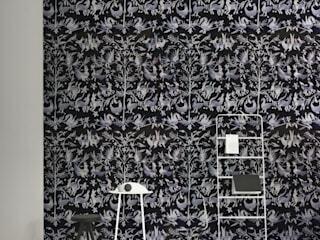 CUSTHOM design innovative high quality wallpapers, ceramics, textiles and stationery. Nathan Philpott and Jemma Ooi founded CUSTHOM studio in 2009. Their talent, vision, expertise and uncompromising attention to detail shines throughout their work. Alongside creating their own striking collection, the studio has completed commissions and created bespoke designs for The Design Museum, Anthropologie, Whole Foods Market , Liberty and John Lewis amongst many others. CUSTHOM challenge the form and limitations of staple products and the traditional application of design processes. 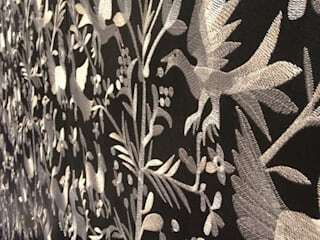 From using embroidery with paper to create tactile wallpaper designs, to pattern cut cushions. 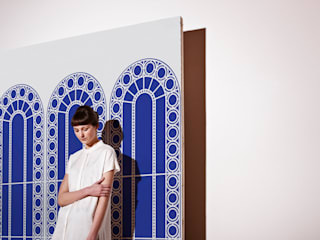 The result is a sincerely unique and arresting collection, imbued with their signature graphic style. CUSTHOM’s pieces are as beautifully made as they are bold in their design. The studios’ work is produced exclusively in Britain, drawing on the wealth, quality and heritage of British craftsmanship. 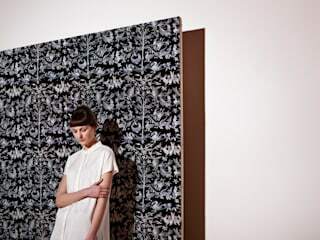 The ceramics are made using fine bone china in Stoke-On-Trent and the wallpapers are embroidered in Leicester, hand finished in their London studio. CUSTHOM combine a broad palette of inspiration from design disciplines, such as typography and illustration, with intelligent and innovative use of materials and processes; creating rich dialogue and interplay between line, pattern and colour. 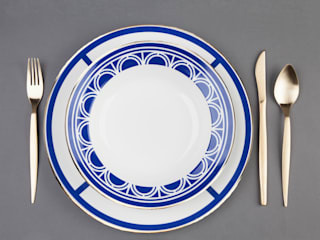 The result is a distinctly bold, graphic, tactile and timeless style with unique and unexpected outcomes.